Arcade Fire’s new video has arrived, and it’s a doozy. Just like the group’s previous “The Wilderness Downtown” and “Neon Bible” clips, “Reflektor” is more of an interactive experience than a music video. Visitors to JustAReflektor.com can both get a glimpse at the band’s new material and, using a mouse, mobile phone, or tablet, can manipulate the effects used the video. 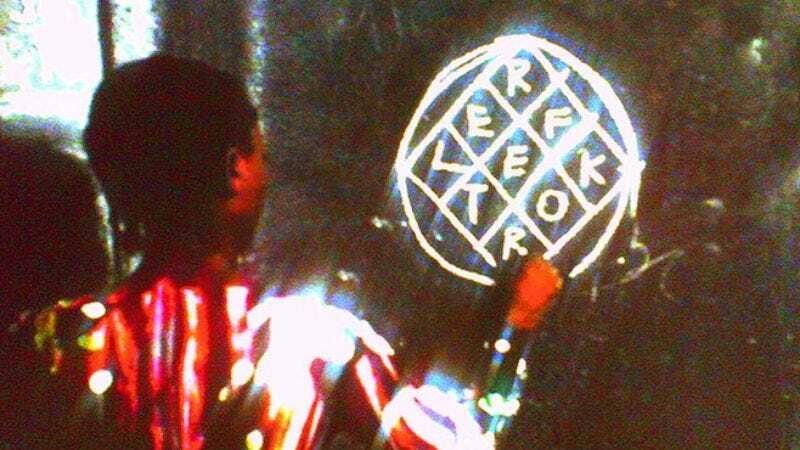 The clip was directed by longtime Arcade Fire collaborator Vincent Morisset, and was filmed in Jacmel, Haiti. According to the site containing the video, the clip tells the story of “a young woman who travels between her world and our own,” and Pitchfork posits that by using a mouse to manipulate the images, that individual viewers thereby become “reflektors.” That might sound kind of artsy-fartsy, but, really, it’s quite neat in practice. Reflektor, the album, is out Oct. 29 on Merge Records.